This article was first published in Spare Change News on February 24, 2012. 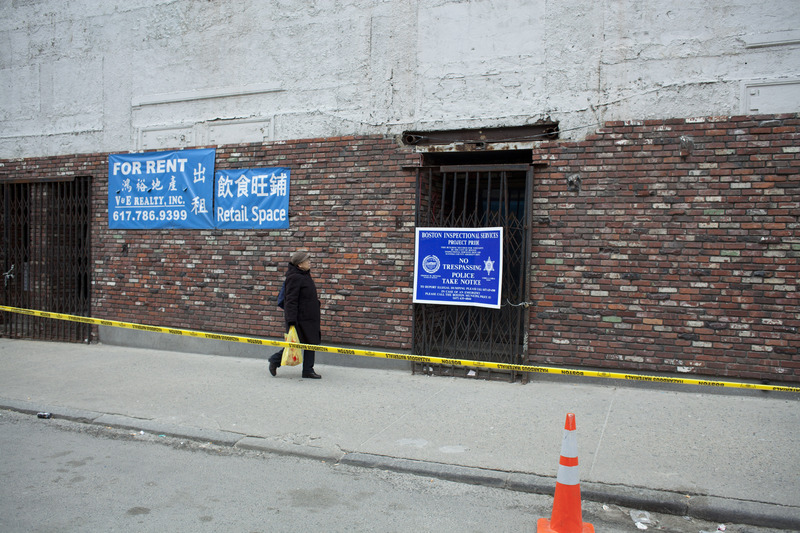 Caption: Boston Inspectional Services shuttered the entrances to 15 and 25 Harrison Avenue in Chinatown on Feb. 8, rendering some 40 residents homeless. The residents, mostly elderly Chinese immigrants, have been relocated to area emergency shelters.